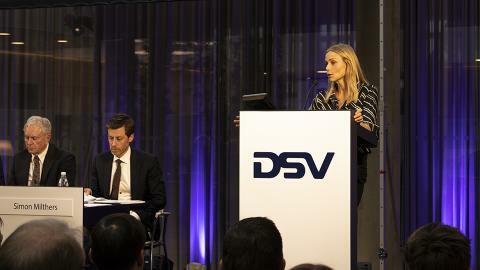 DSV’s Annual General Meeting took place in Headquarters at Hedehusene on Friday 15 March. Around 250 shareholders, guests and representatives from Danish media were present to hear Chairman of the Board of Directors Kurt Larsen, CEO Jens Bjørn Andersen and CFO Jens Lund go over highlights of DSV’s performance in 2018. Prior to the AGM, the Board of Directors proposed to add Malou Aamund as a new member to the board. At the meeting, Malou was elected and is now the third woman in DSV’s Board of Directors, making the board 3 women and 4 men in total. During the AGM, Malou took the stand to explain her experience in brief. Among many other things, Malou is bringing with her vast experience within digitalisation to DSV. She has 20 years of experience as a manager within IT from companies such as IBM and Microsoft. 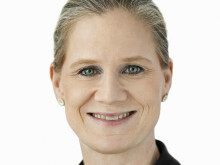 Today, she works as Country Director for Google in Denmark. As part of every AGM, the shareholders have the option to comment or ask questions. This year, the comments came from both larger and small investors who asked about a wide variety of topics, ranging from the current building project at Headquarters to 2018 results and expectations for 2019. “DSV has been through an amazing development over the past five years… DSV’s earnings per share increased 100 % - an absolutely impressive difference, which has been of great benefit to us as shareholders."